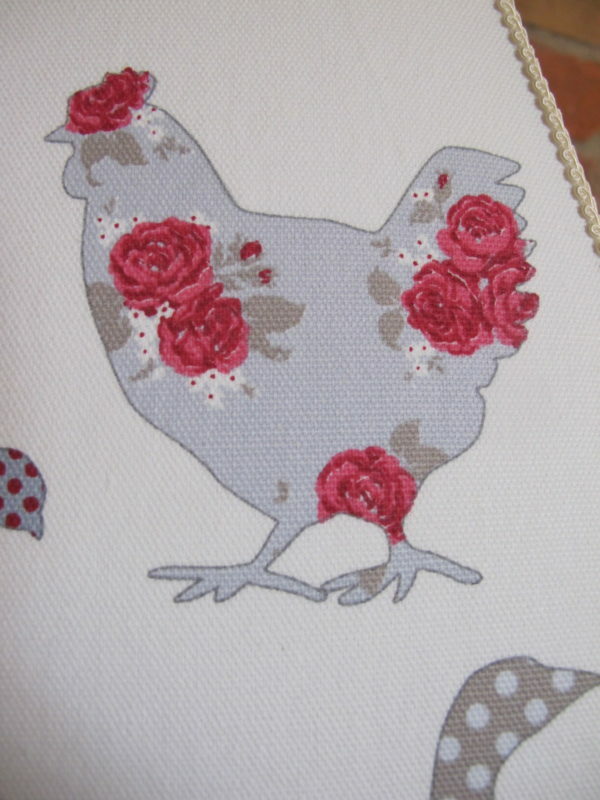 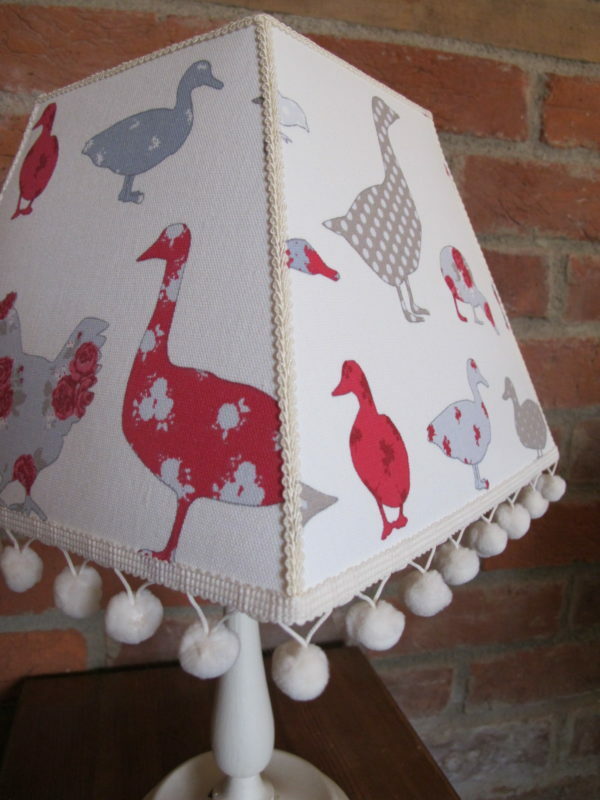 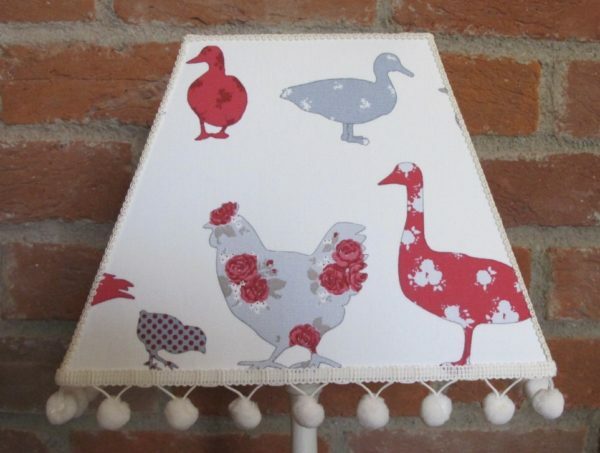 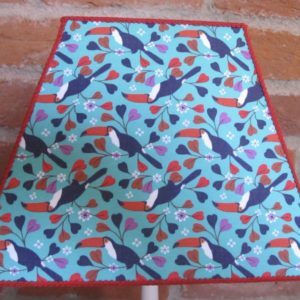 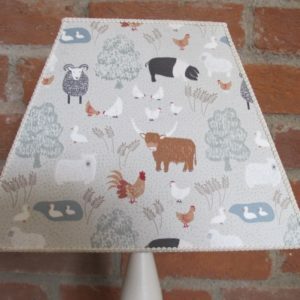 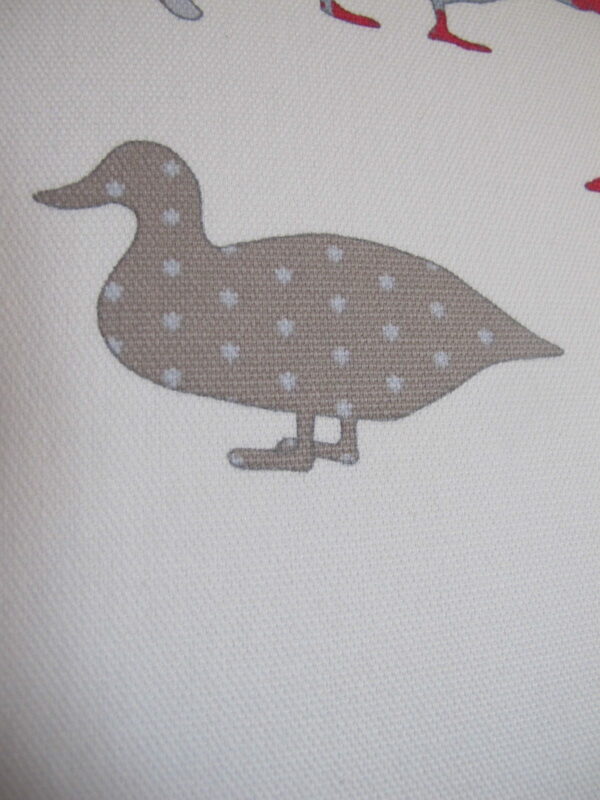 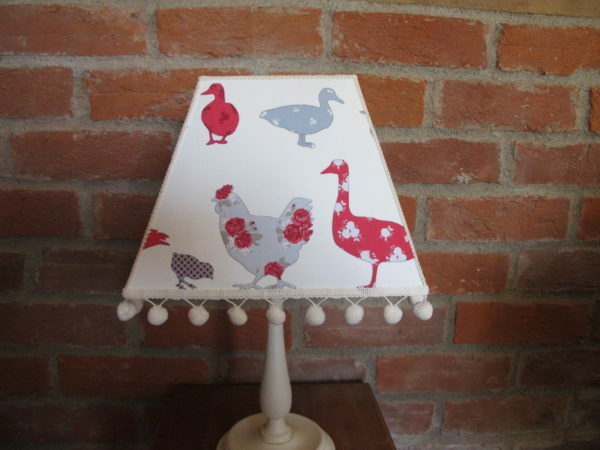 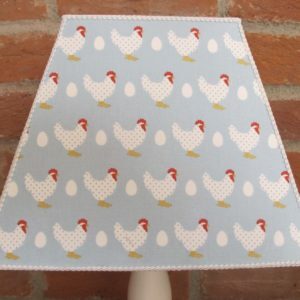 Ducks and geese in grey, pale blue and red with flowers and polka dots. 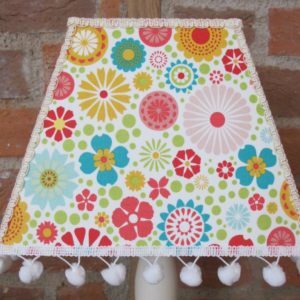 This is a cutie! 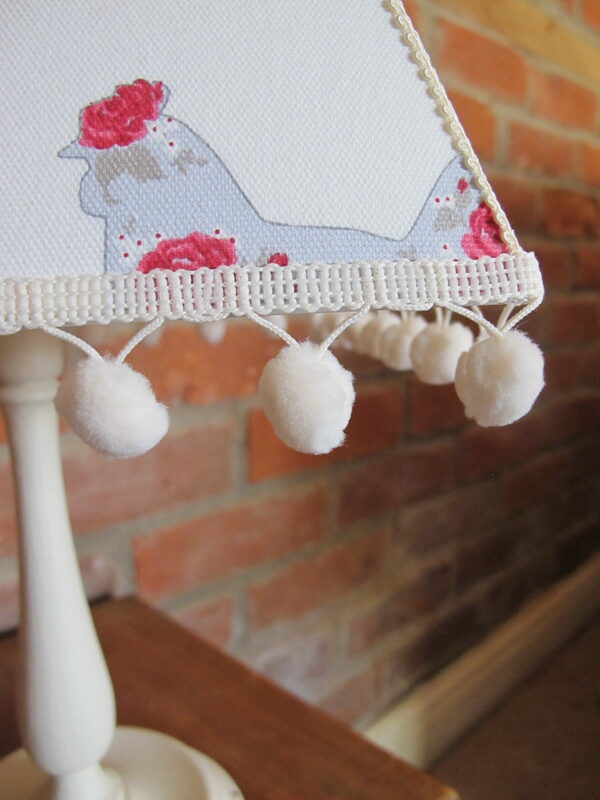 Edged with cream scroll braid and trimmed with cream pom poms. 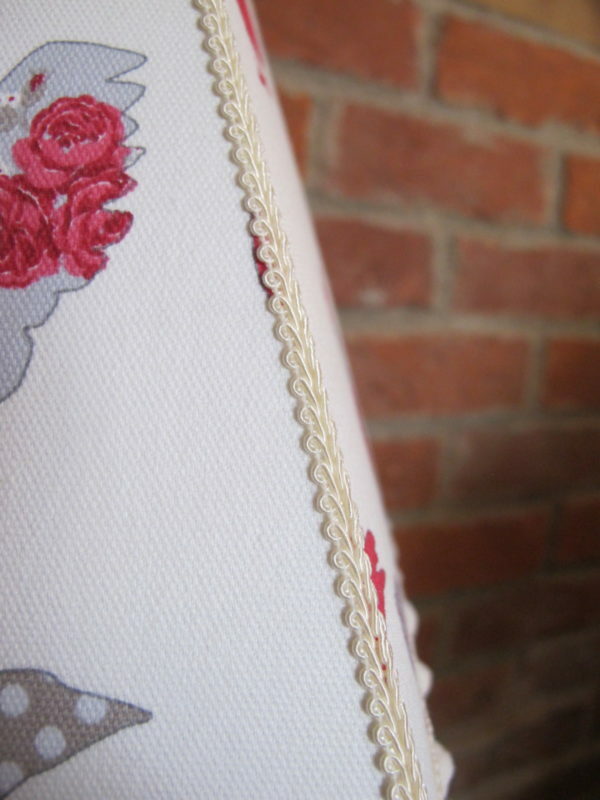 The design will alter slightly due to the cut of the material, but don’t worry it will be as close to the design as possible.